The democratic order that has reigned in Western Europe since World War II, and that has since expanded to include the Iberian Peninsula, Eastern Europe and the Balkans, owes its existence to our wartime alliance with one of the most murderous totalitarian regimes in human history. It was Stalin’s Soviet Union, heavily supported militarily and economically by the US and Britain, that bore the brunt of the fighting that destroyed Hitler’s Third Reich, thereby enabling the liberation of Western Europe from Nazism. In the cause of this war-effort, Allied leaders Winston Churchill and Franklin D. Roosevelt befriended Stalin and hobnobbed with him; their medias extolled the virtues of his regime. It was not a pretty thing to do, as Stalin’s Western-backed forces carried out genocidal crimes of their own against Chechens, Crimean Tartars and other Soviet subject nationalities during and after the war. It defeated one mortal enemy of the democratic world, only to raise another in its place; one that took nearly another half-century to bring down. Yet history has generally looked favourably upon our wartime alliance with Stalin, as one born of necessity. In the sixty-six years that have followed the defeat of Hitler, the dilemma has been posed again and again, as successive Western leaders have felt compelled to ally with one monster to contain or defeat another. Nixon brokered a rapprochement with Mao Zedong’s China so as better to contain the Soviet Union. Henry Scoop Jackson quashed a Congressional motion directed against Marcelo Caetano’s Portuguese dictatorship as the price for the use of a base in Portugal’s Azores Islands to transport military supplies to Israel during the Yom Kippur War of 1973. Margaret Thatcher enjoyed crucial support from Chile’s Augusto Pinochet during the Falklands War of 1982 against Argentina’s Galtieri dictatorship. These dealings with dictators often burn the hands of the Western statesmen who engage in them, or return to haunt them.The US tilted in favour of Saddam Hussein’s Iraq against Khomenei’s Iran during the Iran-Iraq War of the 1980s; Donald Rumsfeld’s handshake with the Iraqi tyrant during his 1983 visit to Baghdad was widely publicised by his enemies during the 2000s. The US’s alliance with Islam Karimov’s Uzbekistan collapsed following US criticism of Karimov’s massacre of protesters at Andijan in 2005. 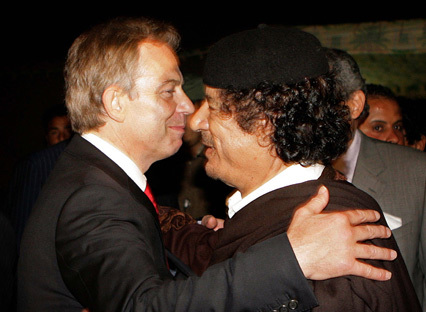 Most recently, Tony Blair’s dealings with the now-embattled Muammar Gaddafi are being loudly trumpeted by his critics, despite the benefits they brought to Britain and the US in the War on Terror. Those ready to condemn Blair over Gaddafi should ask themselves whether they would equally have condemned Churchill for his support for Stalin in the 1940s. Or whether Britain was wrong to go to the aid of Ioannis Metaxas’s fascist dictatorship in Greece, when it was attacked by Benito Mussolini’s Fascist Italy in 1940. Or whether we would have done better to have left undemocratic Kuwait to Saddam Hussein in 1990. The reality is that, so long as the world is largely made up of tyrannical regimes, the West will be forced to collaborate with some of them. The alternative would be for the US and Britain to abandon foreign policy altogether and become like Switzerland or Sweden. Nobody should need pointing out that it was the US and Britain, not Switzerland or Sweden, that defeated first Nazi Germany, then the Soviet Union. There is, however, no getting away from the fact that collaboration with dictatorships is discrediting and morally corrupting for the Western statesmen who engage in it. It may be imposed by necessity, but it should not be chosen by preference. Nor do such alliances work well in the long run. Saudi Arabia, Egypt and other Arab tyrannies may be long-standing allies of the US, but it was they that spawned al-Qaeda – led by the Saudi Osama bin Laden and the Egyptian Ayman al-Zawahiri. Pakistan, with its dysfunctional parliamentary system and history of periodic military rule, may be a traditional US ally, but its weakness in the face of Islamic extremism and the collusion of parts of its security forces with the Taliban insurgency in Afghanistan makes it a much graver security risk for the West today than traditionally pro-Moscow but stable democratic India. Conversely, though the US may have prickly relations with some of the world’s democratic states, most notably in Latin America, these states do not pose any major security risk. Hostile president Daniel Ortega of democratic Nigaragua may cause annoyance with his support for Russia’s dismemberment of Georgia, but this cannot be compared with the security threat posed by some of our own ‘allies’. Venezuela’s Hugo Chavez may be more of a threat, with his collaboration with Russia and Iran, but he is the exception that proves the rule, since he is an authoritarian demagogue who has eroded Venezuelan democracy since coming to power. Even so, it is not Venezuela, any more than Brazil or Argentina, that is generating a global jihad directed against the West. Authoritarian Latin America did generate radical anti-Western movements (or radical movements perceived as anti-Western), from Fidel Castro’s 26 July Movement to FARC, the Shining Path and the Sandinistas; the region has ceased to do so as it has democratised. And at the end of the day, we can live with the hostility of an Ortega or even a Chavez, but God save us from allies such as Saudi Arabia or Pakistan ! The current upheavals in the Arab world have been variously described in terms of the fall of America’s Middle Eastern empire, or the revival of Arab self-determination. Yet ’empire’ – if that is indeed what the US exercises in the region – is a burden not a privilege, and should be relinquished just as a soon as there are Arab democracies capable of assuming responsibility for the region, even if we do not always agree with how they do it. 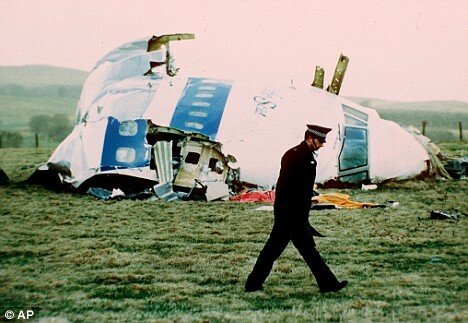 Nor should Israel fear this change; it was dictatorships that attacked it in 1973, as it was a dictatorship that attacked our Falkland Islands in 1982. Today, democratic Argentina pursues its dispute over our ownership of the islands by peaceful means. Israel’s best chance for permanent security lies in the democratisation of the region – even if a democratic Egypt proves to be at times less straightforward to deal with than was Mubarak’s dictatorship. Better hostile democracies than friendly dictatorships. Yet Arab democracies do not have to be hostile. We would do well to assist the Arab struggle against the ancien regime as best we can, so as best to ensure good relations with the Arab leaders who will emerge from this struggle. In Libya, this means doing our best to hasten the complete defeat of Gaddafi’s already moribund tyranny and restricting its ability to slaughter its own citizens, through the imposition of a no-fly zone. We cannot ensure that the battle for democracy in the Arab world will be won, but we can stop fearing its victory. For its victory would represent for us a burden lifted, not privileges lost.